Why to choose a... ViVo Aluminium Skin Case? ViVo Skin is washable (it may rinsed under tap water). 1) Remove device from ViVo Skin case. 2) Simply rinse ViVo Skin case under water to remove any unwanted dust and lint on the case. 3) Let the ViVo Skin sit dry. 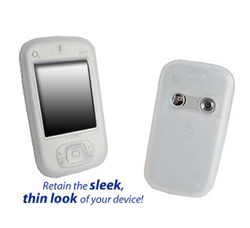 1) Slide the device into the case until it covers the entire device. 2) Included with your ViVo Skin is a handy wrist strap for your device for added security on the go.